After my research for many years, i can confidently tell you that most of the IMEI unlocks are scams. A simple google search or YouTube search will bring you lots of fake results and videos, of icloud activation by using only device IMEI/SERIAL number, the prices can be very expensive or cheap depending on the seller. Most of this services are fake and will not work because requesting for Apple device imei number is not enough, besides sending your IMEI number to a third party are most likely dangerous and you should never send it to someone that is not apple. iCloud Bypasses sold on eBay or different other websites using IMEI or Serial number are never free, and therefore you should be very careful before paying them for your device. You pay and provide the IMEI address. Sellers/website put buyers on hold for 3-4-5 days or even 2 weeks. Then when the time passes and the device is still not unlocked. Buyer try to contact the seller only to realize the seller/website either blocked them or he vanished. This has happened in the past to thousands of people. Most of the Scam websites and sellers claim to have access on an Apple program called GSX (Global Service Exchange). What is GSX and how does it work? GSX stands for Global Service Exchange a tool capable of single service, repair and order management. There are a lot of internal applications/tools that are not available to the public. Many of this tools and application are used in factory productions, this apps and tools are kept secret by apple themselves in other for it not to fall into the wrong hands or abused, that means apple themselves can easily unlock a locked device. One of this tools is GSX. GSX IS NOT a tool made to bypass iCloud, let alone to allow anyone to do so. Although it can also be used to remove the iCloud Account from a device (by making direct changes to the Apple Database) but that won't happen, because to have this account service, your company has to be big, your company have to use a lot of Apple products and it MUST have one or more authorized (certified) Apple engineers. A company that uses a lot of big products from apple can buy a GSX account, it enables them do their own self servicing on their own devices, the company themselves can remove icloud from their own Apple device e.g if an employees in this same company use an apple product, the devices can be restricted before giving to them. A mobile service provider that needs to order devices parts or process repairs can easily have access to this tool, but you cannot access it if you are just an individual Apple user. Most of the websites and individual sellers looking to get your money don't fulfill Apple's requirements to access the program. Even if they do, it must be is verified by Apple employees. Every company's account on GSX is checked and everything they do to their devices using the program is tracked. GSX could have been used to remove the iCloud account, but it has been patched long time ago. A Global Service Exchange account for a specific company will only have a number of Apple devices attach to it and registered to the company, that means they can only provide support or unlock for their own registered devices. They can not just take any device from other countries and provide unlock for it, besides everything they do is been verified by an apple engineers. The difference between these IMEI unlocks and temporary bypasses (like CFW or DNS bypass) is that they claim to completely remove it from the Apple server, while the CFW method and the DNS bypass only does it temporarily on the device. If you want a solution that works 100% you will have to change the motherboard/panel of your iPhone/Ipad which will also change the IMEI and serial number. It work through many ways, one of the method they use is After payment, through an illegal , hacked, apple friend GSX account , they do a check on the original owner which contains the email address, name, icloud ID. With this information they do an Apple invoice for your iDevice . They send this invoice to Apple for unlock. Most of the IMEI unlocks with GSX are Scams. 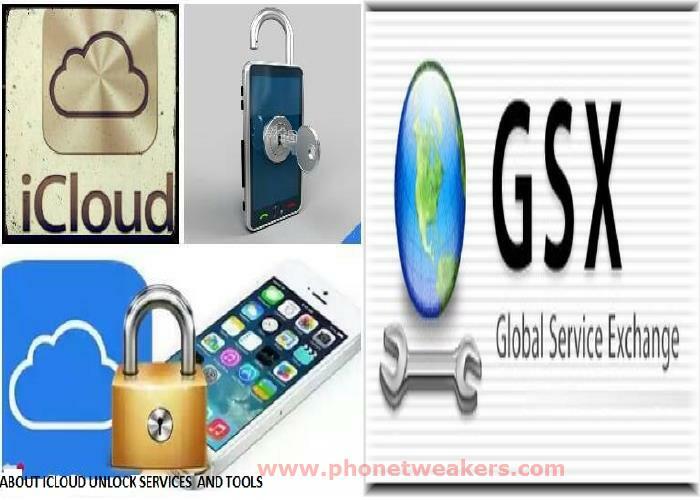 The GSX account from apple let you do numerous network unlocks , also offer icloud activation removal if it’s not reported lost or stolen. It can be used to check Info such as: iPhone model, unlock status, warranty status, find my iPhone status and many more. Escalation of FMiP Requests using GSX or for carriers email method apple need 48-72h on clean IMEI only. Most of the Legit sellers and website have limit slot, they can only handle 10-20 slots per day. Those account are actually verified by apple employee, a company having a GSX account can't do anything with it by simple taking any device from anywhere and unlock it. There is also a certification program by apple that let you enroll and pay for your training and you get a certificate as an authorize apple engineer with GSX account.